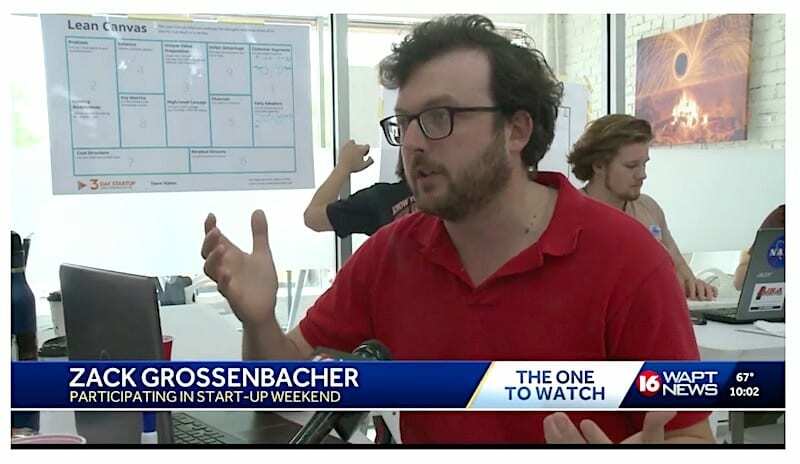 Zack Grossenbacher was part of the winning team for Startup Weekend Jackson 2018. Startup Weekend 2018 in Jackson was a huge success, with nine teams making it through the grueling 54-hour process. Startup Weekend participants begin with initial ideas and team formation on Friday evening, and then go two full days through the process of business planning, customer validation, mentor sessions, prototyping, market research, pitch-deck development and then, ultimately, the final pitch in front of judges to decide the winners on Sunday evening. Hillery focused on two companies in her report—Fobono is a platform for consumers to easily give to non-profits on recurring basis and Weekly Harvest, a farmer-to-consumer delivery service. Weekly Harvest ended up winning the Crowd Favorite honor at the end of the weekend, while Fobono (renamed “GiveCherry” by the time it was pitched on Sunday) won First Place for Startup Weekend Jackson. 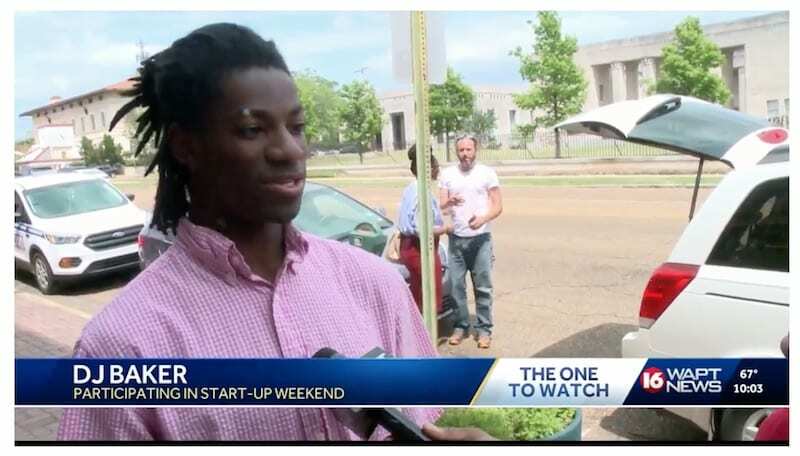 WJTV also covered Startup Weekend, focusing on the opportunity that the startup participants have to work one-on-one with mentors. Reporter Jade Bulecza quoted Innovate Mississippi’s Tasha Bibb telling the story of some of the startup companies that were formed over the weekend. We appreciate the local coverage and encourage budding entrepreneurs to participate in the next Startup Weekend happening near you!